As we know, the default photo viewer in Windows 10 is changed to Photos, which is powerful than its previous version - Windows Photo Viewer of Windows 7, but I don't like it black background and it cannot be changed. (If you know how to change Photos background, please advise me.) I still like Windows Photo Viewer, but if we want to change default app in Settings, Windows 10 doesn't list Widows Photo Viewer. 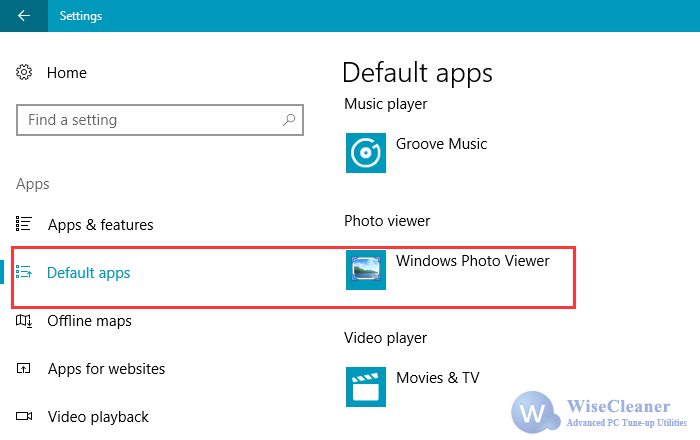 How can we change Windows 10 default photo viewer to the classic Windows Photo Viewer? 3, Double click viewer.reg to import codes into registry. After that, you can open Settings to change default photo viewer application to Windows Photo Viewer.